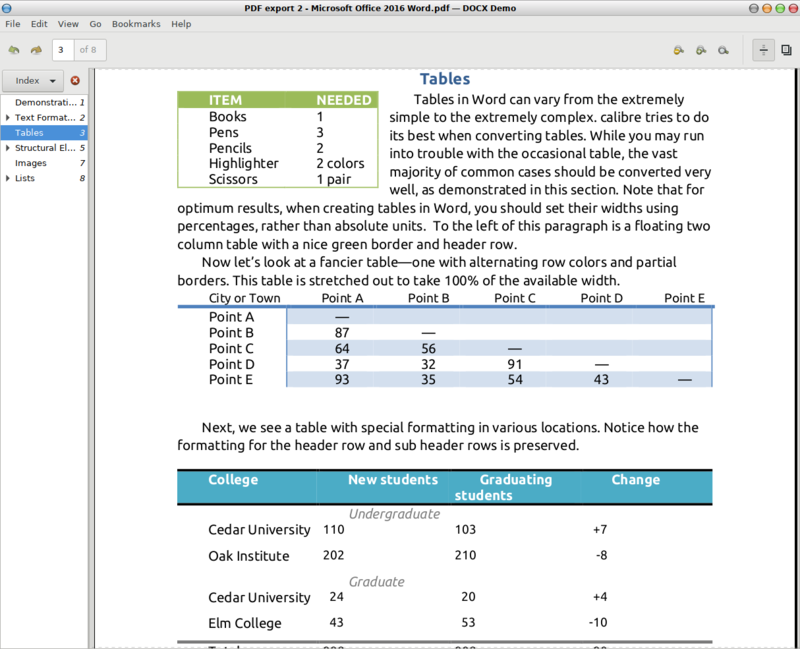 Note that I also converted the demo.docx to the latest Office 2016 format and exported that one to PDF again. It didn’t make much (or any) difference in my view. 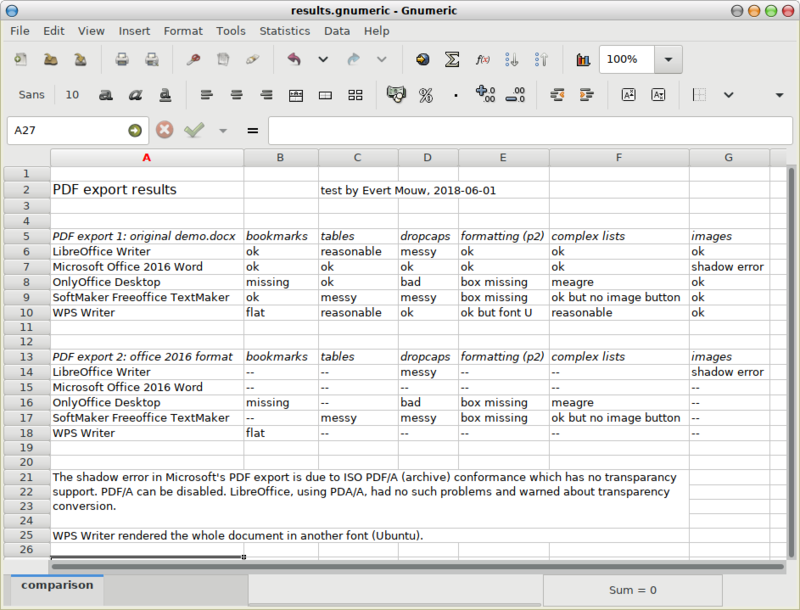 As you see, the latest LibreOffice isn’t that bad at all. It also has the benefit of native OpenDocument support and wide availability as it is included by default in a lot of Linux distributions. But it doesn’t hurt to have other options as well. 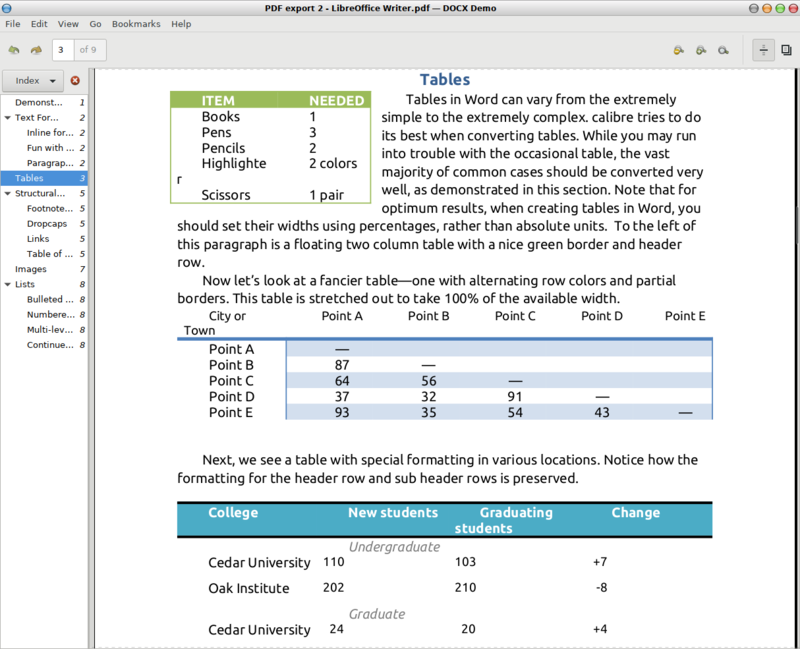 In fact, LibreOffice 6 did shadow handling for images better than Microsoft Office 2016 when exporting the demo.docx to a PDF. 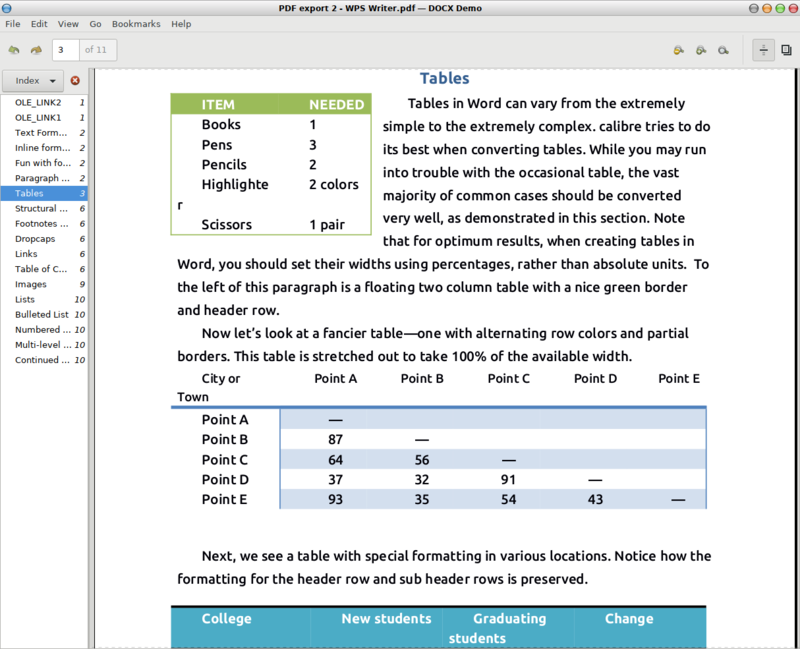 But LibreOffice didn’t get the dropcaps right (not that many people use that feature), for which you need WPS Writer, but the latter changed the font for the whole document and had flaky bookmark generation. 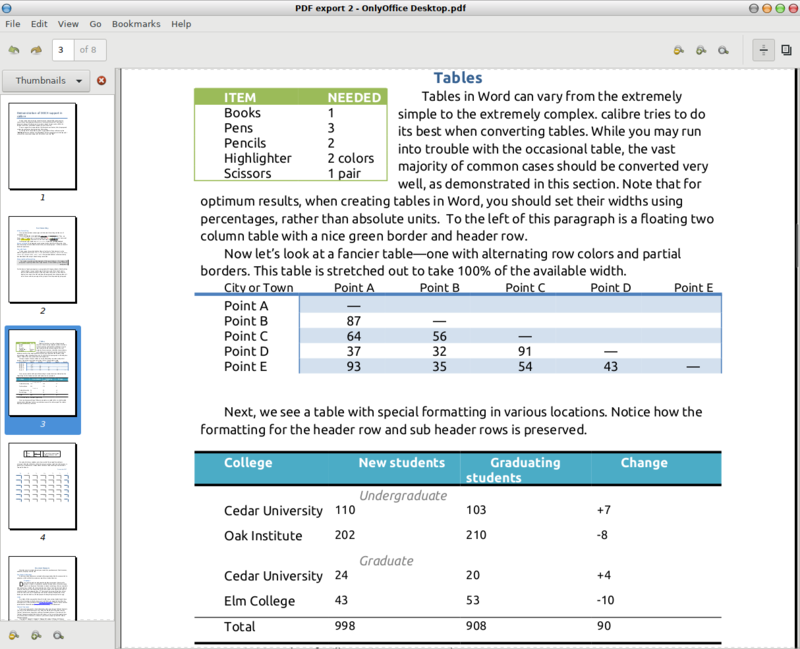 Below I’ve put the screenshots of the page with tables, one screenshot for each office suite. 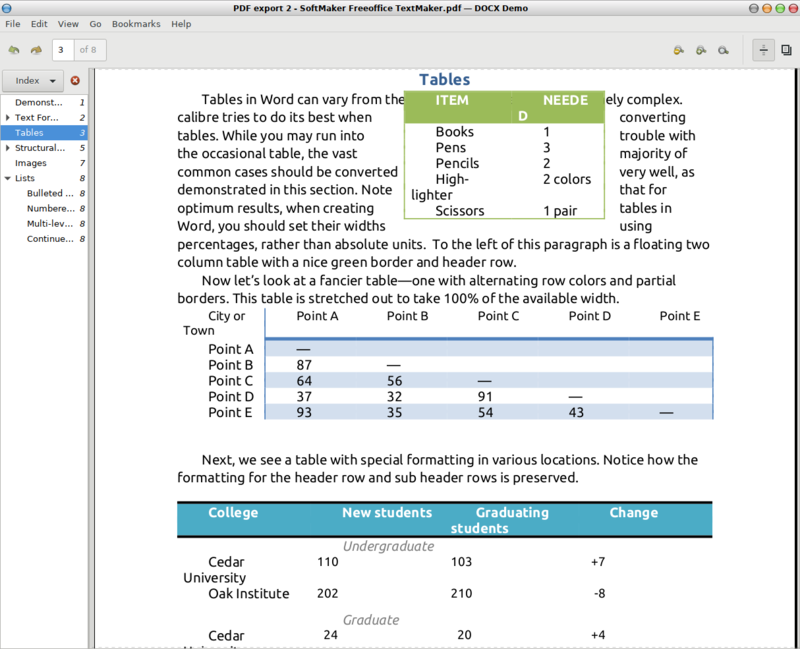 Oh, btw, I like Markdown best for writing and Gnumeric for spreadsheets, so that’s what I actually used to create this blogpost — before uploading & editing it to WordPress, that is.